It’s a key milestone as the Department of Energy races to increase its plutonium production capacity before the United States’ dwindling scientific stockpile of plutonium-238 is totally depleted and deep space exploration becomes effectively impossible. Plutonium-238 was once produced in abundance in the US as a byproduct of the production of weapons-grade plutonium-239. (Plutonium-238 is not used in any nuclear weapons.) In the 1960s, physicists developed radioisotope thermoelectric generators that captured the immense amount of heat generated by plutonium-238 as it decays and converted it into electricity. These generators were quickly adopted by NASA to power spacecraft for long-term deep space missions where there isn’t enough sunlight to rely on solar power. Over the past four decades, it has been used in two dozen deep space missions, including sending the Voyager craft into interstellar space, doing a flyby of Pluto, and powering rovers on Mars. Yet as the Cold War wound to a close, the United States stopped producing plutonium in 1988, which meant that NASA’s deep space aspirations were limited by the amount of plutonium-238 left in America’s stockpile. By the early 2000s, it was clear that the United States would have to resume plutonium-238 production to allow NASA to continue with its pioneering deep space exploration missions. In 2009, the National Academy of Sciences published a report that found the US only had enough plutonium left for a few more deep space missions and urged the US to resume plutonium-238 production. It wasn’t until 2012, however, that the US Congress okayed $10 million per year to resume plutonium production in the country. By the end of 2015, researchers at Oak Ridge had produced 50 grams of plutonium-238 for the first time in 27 years. This was a far cry from the lab’s ultimate goal of producing 1.5 kilograms of plutonium per year, however. Creating plutonium-238 is a painstaking and laborious process. 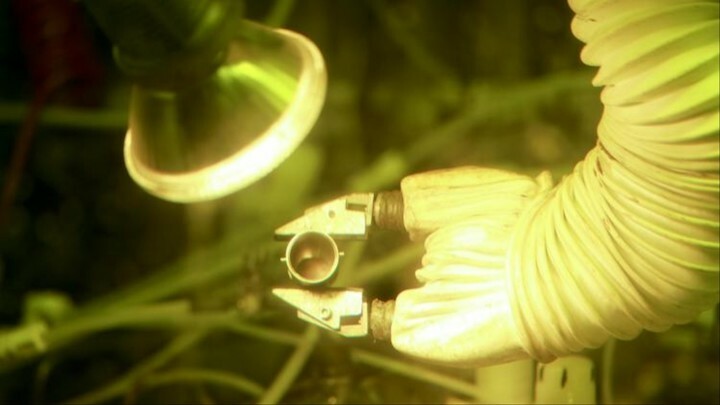 One of the most difficult tasks is creating pellets of neptunium and aluminum that are shaped into a rod that is blasted inside a nuclear reactor. Previously, researchers at Oak Ridge had to mix and shape the pencil-eraser-sized pellets by hand. Now this part of the process is automated, which the lab expects to increase its output from 80 pellets per week to about 275 pellets per week. This development alone will allow the lab to progress from producing 50 grams of plutonium-238 annually to about 400 grams annually. Spokespeople for Oak Ridge National Laboratory weren’t immediately available to comment on the development. This is still only about a third of the way to the Department of Energy’s ultimate goal of producing 1.5 kilograms of plutonium annually, but it bodes well for the future of space exploration, which critically depends on a steady supply of this radioactive resource.